Gujarati calendar 2018 November showing festivals, holidays and tithi. 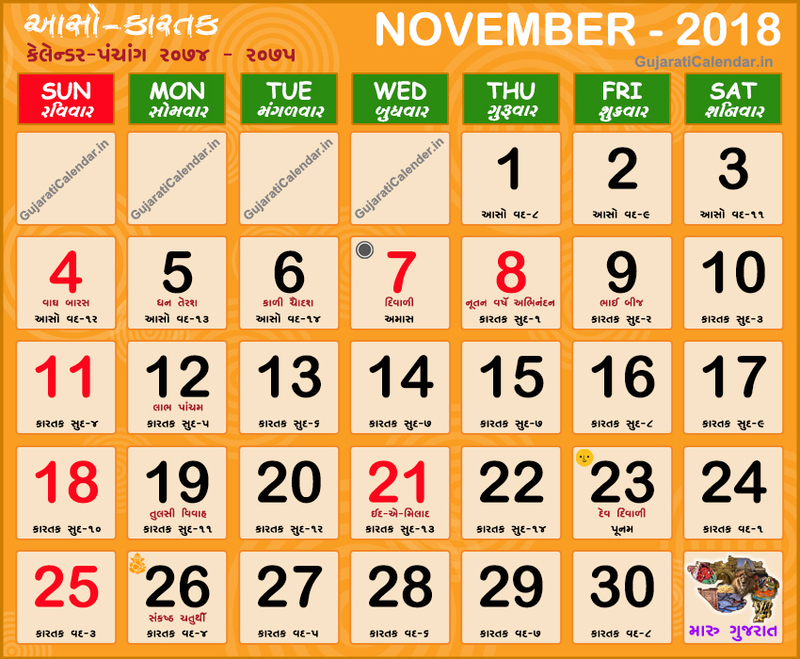 November corresponds to the Gujarati months of Aaso Kartak. Gujarati month Aaso and Kartak is the months of Hemant Rutu or Prewinter. It is it perhaps the most pleasant time of the year, weather-wise. It is time for some of the most important Hindu festivals, including Diwali, the festival of lights, Bhai Dooj, and a number of new year's celebrations. November 2018 is an aaso kartak mahino in vikram samvat 2074-2075.